Remember the blouses worn by our mums and grandmums? Plain rubia ones that would perfectly match the saree, round neck and three forth sleeves, sitting right above the elbow, not the ones that go beyond. The contemporary saree blouse has gone through significant transformations. From denim to khadi, zari and embroidery to prints, tie-backs to low back - sound familier, right?. What seems to stick as a current trend is the length of the blouse sleeve. Keep it vintage, yet contemporary by going for avante gaurde fabrics and prints, bold and bling but sticking to the half sleeve or three fourth sleeve length. Draw inspiration from our Bollywood celebrities. Have a look at how suave Urmila Matondakar and Bipasha Basu looked in their wedding ensemble wearing a 3/4 blouse designs. You can make and break your bridal look by wearing the perfect blouse. Make that garment the show stopper of your outfit to really stand out. 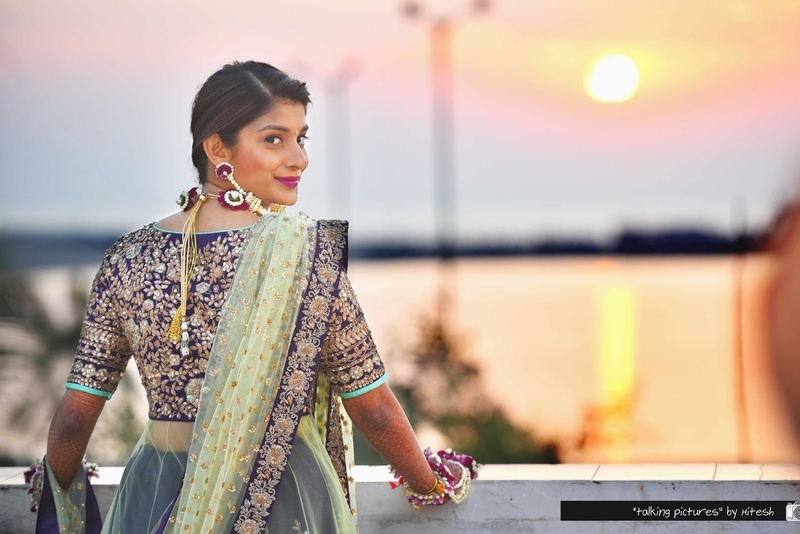 We’ve collected and created a chic lookbook of lehenga blouse design ideas that will be perfect for brides who like something old and something new. Beginning with designer blouse patterns to the latest blouse designs for bridal sarees or everyday sarees, in our lookbook there is something for all kinds of fashionistas who are planning to play dress up. Whether you're wearing a bridal saree or lehenga for your big day, take cues from these designs to plan your outfit. However, while doing so keep in mind what best suits your skin tone and body shape. Scroll to browse some gorgeous blouse designs you can consider for your pre-wedding functions, wedding ceremony and thereafter occasions from top designers and our drop-dead gorgeous real brides. For contemporary styles and patterns in bridal blouse designs, check this out!